The ask door is similar with boiler door, furnace door or stove door. Total weight for ash door assembly was about 60kg. Materials include cast iron with Cr. 1% and cast steel. The whole assembly include ash door, door frame, handle lock, cover inspection hole, pin, screw, gasket and bolts. 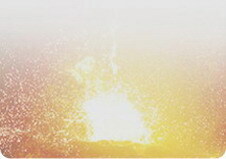 Dandong Foundry has made many ash doors for the boiler and furnace manufacturers worldwide. 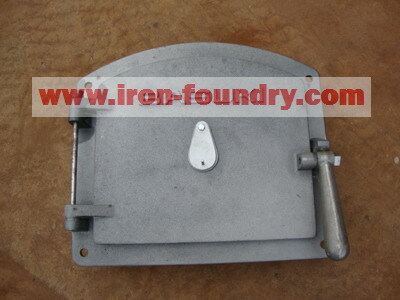 It was not difficult for the rough castings and machining. However, you have to keep the good surface quality and good dimensions for installation. The suitable casting process was resin sand casting, however, some parts were small, so green sand casting process will be necessary. Therefore, the foundry should have very fine green sand to make the small parts. As for the patterns, Dandong Foundry suggested to use the resin patterns, which has good lifetime, and lower costs than metal patterns.